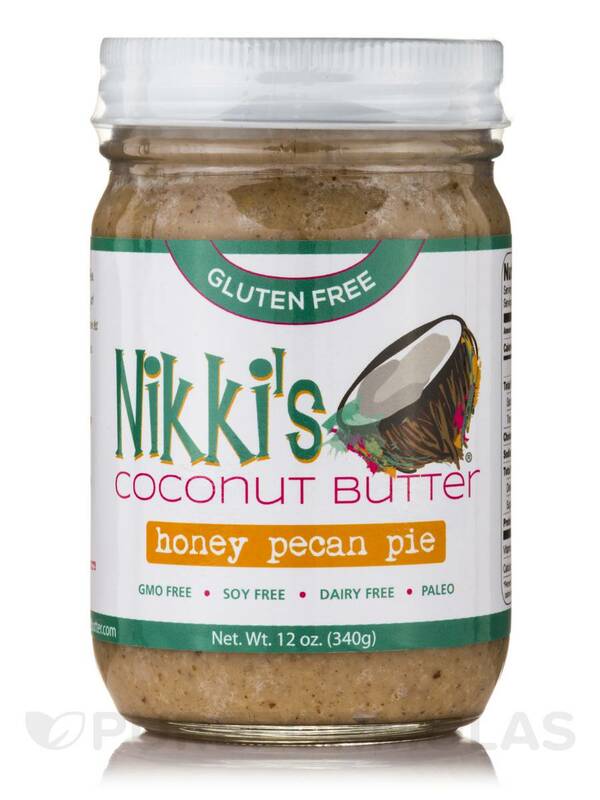 Honey Pecan Pie Coconut Butter by Nikki's is tasty and delicious. I like the idea behind the production of this butter in multiple varieties. All organic ingredients are used to make this butter a huge plus for me. There's something magical that happens when pecans roast in the oven! 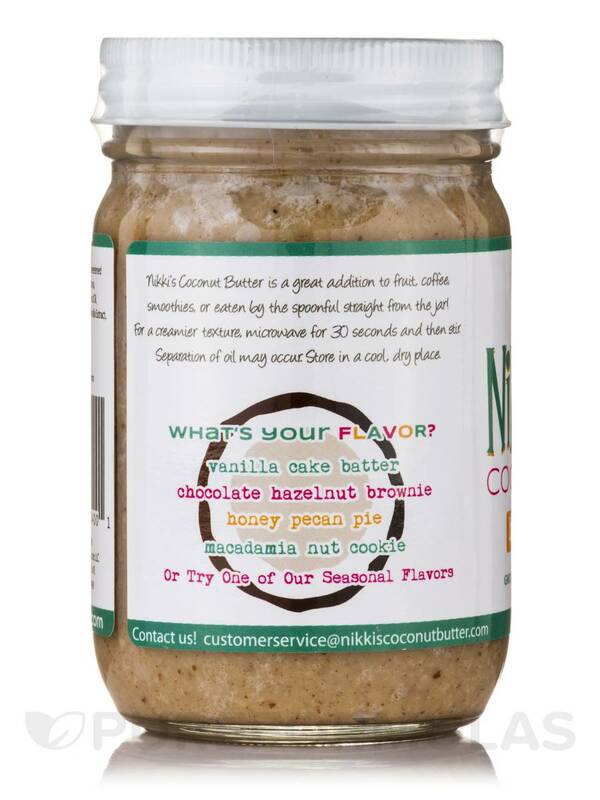 Nikki's Honey Pecan Pie coconut butter encapsulates the tremendous flavor of roasted pecans with hints of cinnamon and honey! It will remind you of home‚ regardless of where that is! 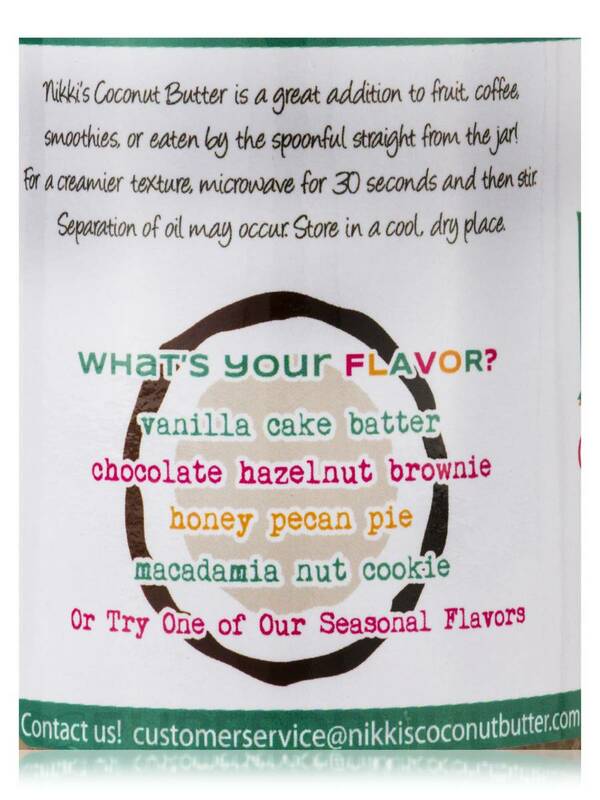 Ingredients: Organic unsweetened coconut‚ dry roasted pecans‚ organic extra virgin coconut oil‚ organic honey‚ organic vanilla extract‚ cinnamon‚ sea salt. Contains nuts. May contain nut shell fragments. 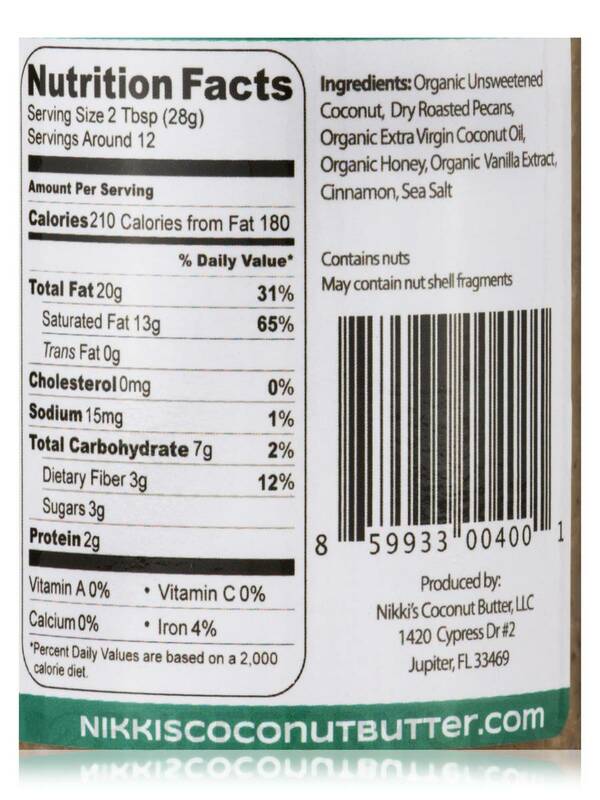 This product is free of gluten‚ soy and dairy. 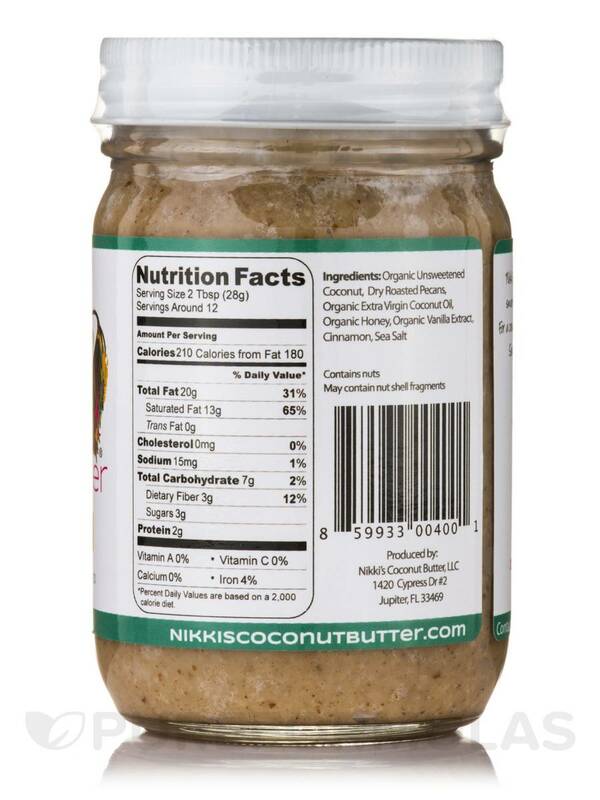 Nikki's Coconut Butter is a great addition to fruit‚ coffee‚ smoothies‚ or eaten by the spoonful straight from the jar! For a creamer texture‚ microwave for 30 seconds and then stir. Notice: Separation of oil may occur. Allergen Caution: Contains Nuts. May contain nut shell fragments.